Please select CPU for your system below. The D16-TN70A-B8026 is a customized server based on Tyan’s TN70A-B8026 and offers outstanding computational power for a single-socket server, with support for 8, 16, 24, or 32-Core processors with up to 64 threads. 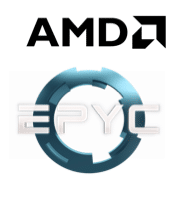 The memory capacity of the server is also incredibly high for a single socket server, able to support up to 2TB of RAM with every processor in the AMD EPYC SKU stack. The platform is a 2U server barebone based on the outstanding Tomcat SX (s8026) single-socket AMD EPYC motherboard. The Dihuni customized D16-TN70A-B8026 model is a hybrid storage server with support for (16) 2.5″ NVMe drive bays. 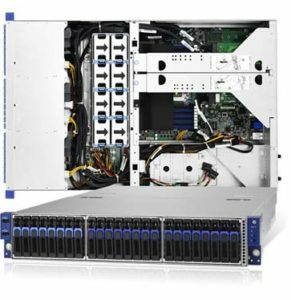 The server supports up to 6 PCIe slots in the back, with a pair of x24 riser cards that can both support either x16/x0/x8 or x8/x8/x8 configurations. An OCP v2.0 LAN Mezzanine provides high speed network capability, with support for either x8 or x16 network cards and speeds up to 100Gigabit Ethernet. A x16 LAN Mezzanine borrows 8 PCIe lanes from a riser slot through a MUX.